“I think what we are seeing in the country writ large is sort of a period of like total discomfort, almost just getting it out of the system right now. And you are seeing a lot of worries among the American populace about their futures, economically and culturally, and whether the leaders in Washington are really – have really been taking care of them,” Webb said. Webb, on paper, would seem to be able to appeal to voters concerned about economic fairness, given his work in the Senate on economic-justice issues. He just hasn’t been able to get his campaign to resonate with voters. Yet. 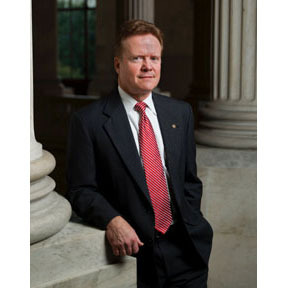 Maybe the popularity of Trump and Sanders is a good sign for Webb, if he can get his campaign onto some kind of footing. “You see it in the Republican Party with people going to Trump on issues that are concerning their stability, their long-term stability. And you see it in the Democratic Party with people moving toward Bernie Sanders on issues I – issues on which I actually agree with respect to economic fairness,” Webb said.